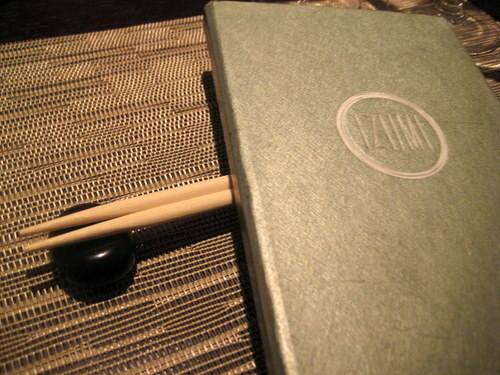 Izumi is a japanese / sushi spot on East Passyunk, in an otherwise mostly asian food-less strip of the area. It’s got outdoor seating and some indoor seating in tables, hightops, and at the sushi bar. It’s fairly clean, sleek, and modern on the inside. 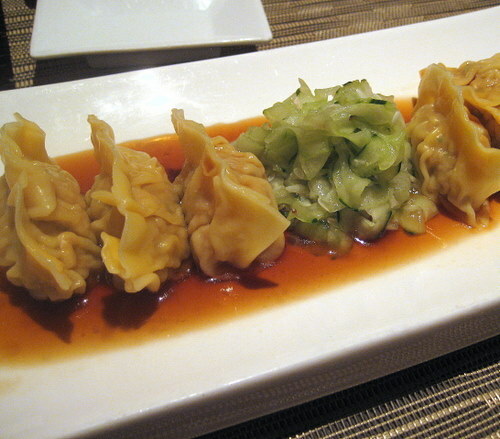 Here are the gyoza, made with pork. They’re served with pickled cucumber (which weren’t particularly pickley) and already come doused and bathing in some dipping sauce. These were decent. 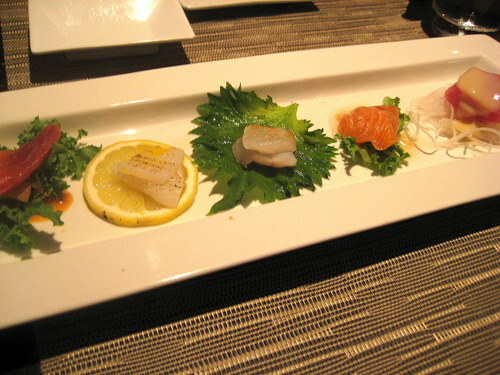 Here’s the izumi sashimi sampler. We have surf clam with spicy miso, squid with smoked sea salt and lemon oil, fluke with tataki sauce, salmon carpaccio kaiware and shiso oil, and tuna with tofu vinaigrette. These were all excellent and super fresh! 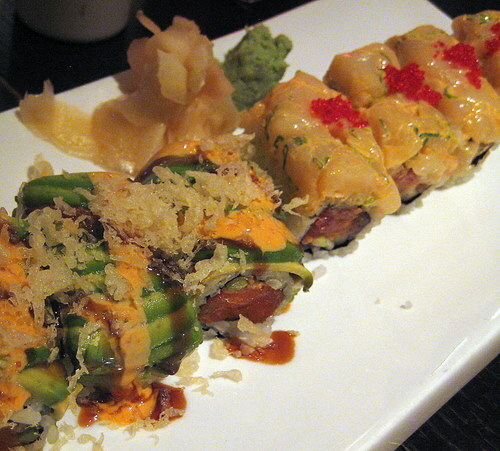 Here are a couple of their specialty rolls. The one on the left had some spicy tuna and avocado and crunchies on top. The one on the right was a special of the night and had a spicy scallop topping. Both of these were great as well. The dessert was the craziest thing ever. 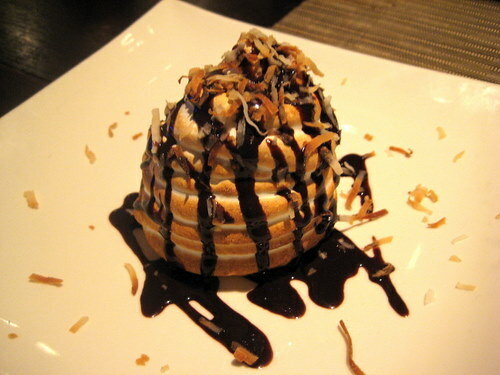 It was a chocolate cake topped with coconut gelato, all covered in meringue, then topped with chocolate sauce and toasted coconut. It was truly decadent and while tasty, was a bit too rich for me. I could only take a couple of small bites. It was a nice meal!